Most time and attendance software systems are based on old technology. There are fundamental flaws in the attendance tracking that we are fixing with Time Doctor. If an employee takes a three-hour break there is no way to automatically track this in most time and attendance software systems. Attendance software should be able to detect exactly when an employee is ‘at their computer’ or ‘away from their computer’ and be able to categorize such time as ‘away from the computer’, as ‘break time’ or as ‘work time’. Time and attendance software is based on the principle of an employee clocking in at a certain time and then clocking out when finishing work. This does not correspond to actual productivity. Staff can easily ‘clock in’ but spend the entire day chatting with their friends on Facebook. If the software is based purely on punching in and out then it is totally ineffective for work-at-home employees. For this category of employee you need a system that brings more accountability to the work day. You need to know exactly when the person was working and what they were doing throughout the day. 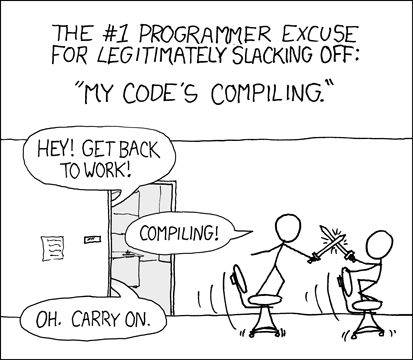 You need ways to confirm that they were working effectively rather than wasting time. 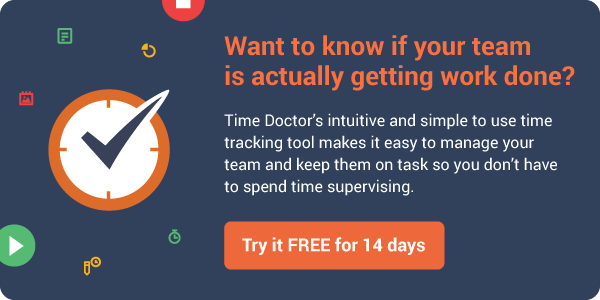 Time Doctor tracks break time automatically. You will know exactly when breaks started and finished. Time on and off the computer is automatically tracked. This means that you will know if the person is working productively on their computer or if they are in a meeting or out to lunch. Time Doctor also includes monitoring of websites visited and applications used on the computer to help improve focus and efficiency at work. For example you will know exactly how much time employees spent on Facebook or on different applications on their computer. Time Doctor works very effectively as an employee monitoring software for employees in an office and employees working from home. We use a company called Bizimply (www.bizimply.com) for tracking Time & Attendance in the restaurant I manage. Its extremely useful as it’s a simple Ipad App that employees clock in and out with with image capture to stop buddy punching. it works offline too so that’s really useful when the internet connection goes. They do scheduling and payroll too. Hi everyone!I would like to offer you one more option to make your life easier. Workly (www.workly.io) is a cloud-based T&A solution that is suitable for small and medium businesses. Workly helps to eliminate problems with employees attendance. Attendance data is capture via TimePad (http://workly.io/employee-time-clock-timepad/) – a free timeclock that works both for Android and IPad. We offer a 14 day free trial. Good work! Well explained flaws of attendance software. I am using web based HR payroll management software and fully satisfied with this software. http://www.pockethcm.com/ Thanks for sharing! The best time and attendance solution is the one that fits the company. Different industries need different systems. In general, PayPunch (www.paypunch.com) is an easy to use Time and Attendance software. It offers the opportunity to punch on site using time clocks and using PC/cell phone to log in/out remotely. I totally agree with you Rob! The major issues with nowadays time & attendance softwares is lack of break, vacation and payroll features for instance (my personal conclusion). However, our mid-size coaching team is using http://www.nimbleschedule.com as a scheduling and time & attendance software. It does fullfill our requirements! We are pleasantly surprised with its simplicity as well as additional employee-tracking features.